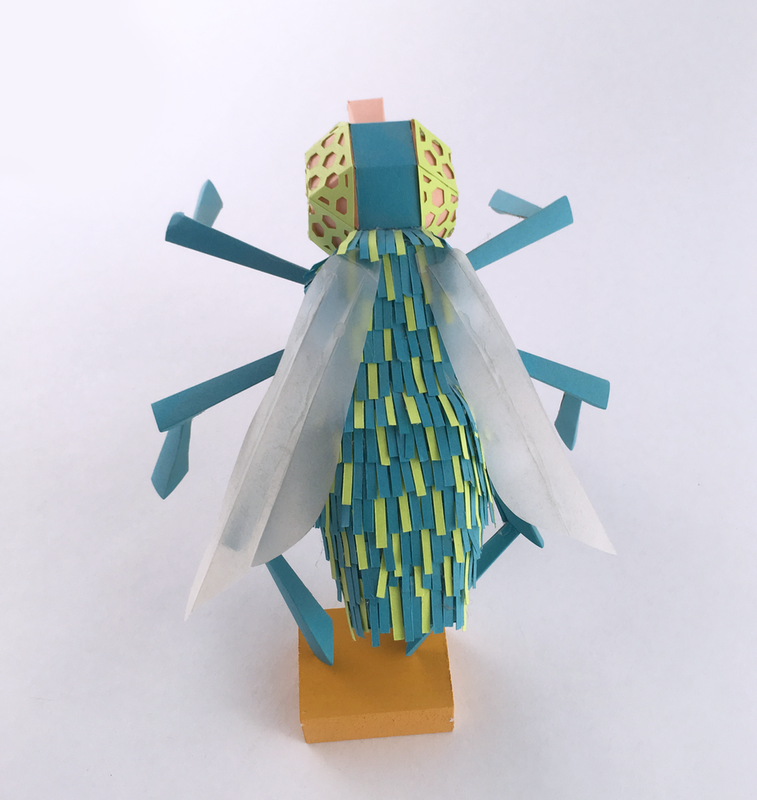 I have loved making 3D paper ~things~ since as far back as grade three; roughly eight or nine I suppose. 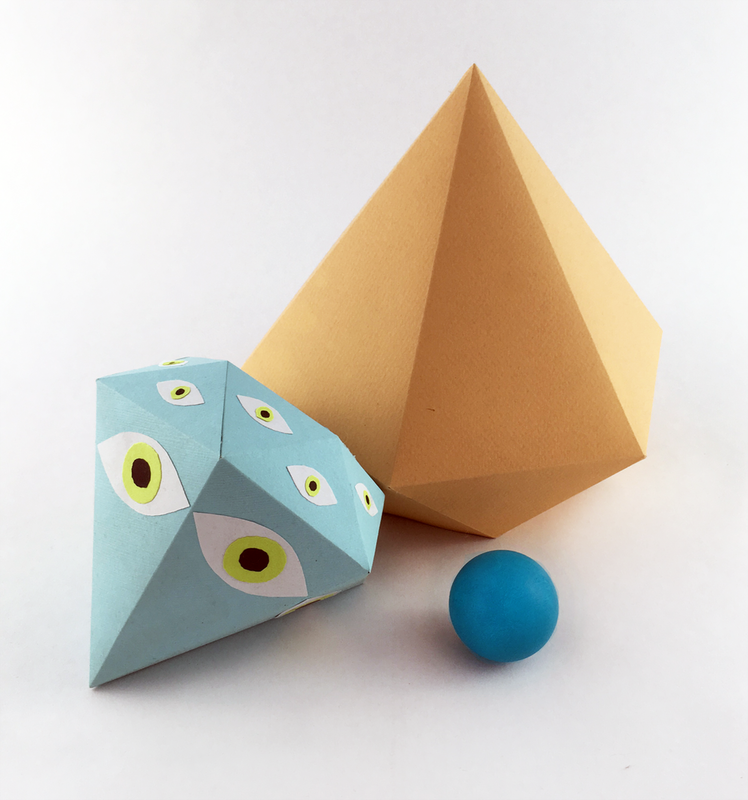 It may have started earlier, but I have a vivd memory of creating different geometrical based pyramids out of manila tag, and glueing wrapping paper to them before assembling. We added little ribbons either from the tip or glued onto the base to use as them ornaments on our christmas tree. There is something so oddly satisfying about taking a flat piece of paper, and mapping out how to turn it into a three dimensional object. These are a collection of items I have made for various projects, both personally and professionally. This was one of the several props I designed and fabricated for the 2014 MTV Movie Awards and Scene promotional video. Produced while under creative direction from the MTV team, this prop was used for the Dallas Buyers Club section. The cigarettes and ashtray, fly, and diamonds were all created for a series of portraits. All were made from original templates I designed. The colours were used to help tie the elements together and fit within the visual identity. 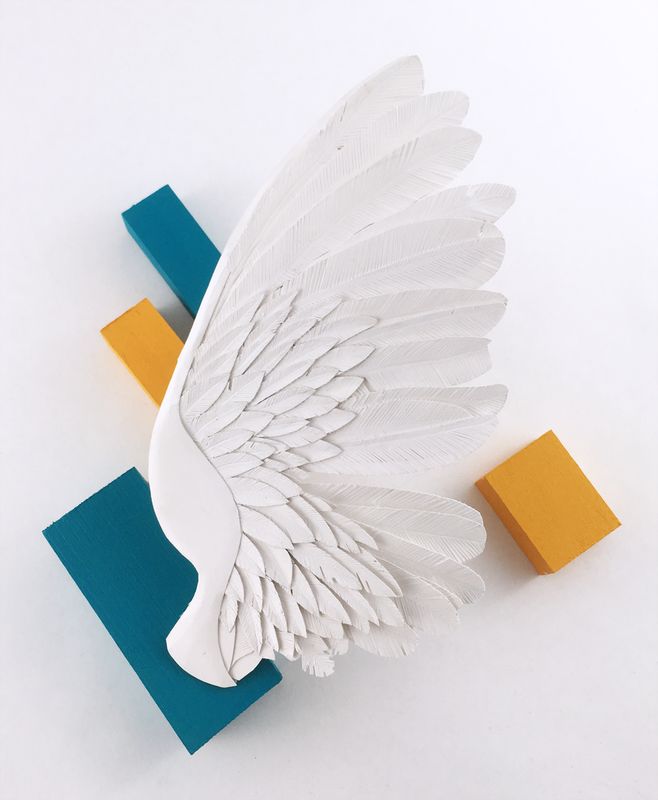 This prop was produced for the album cover of Brooklyn Doran's These Paper Wings. Using photographs of various wings as inspiration, I cut out each piece and detailed them by hand. The final cover art can be seen on my other page.